Getting a finished glamorous look just got easier this holiday season with an array of fabulous finds. 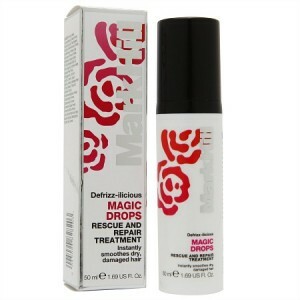 Tame frizzy and fly-away hair in seconds with Magic Drops Rescue and Repair Serum by Mark Hill. Use on Damp or Dry Hair. The treatment uses protein complexes to protect, strengthen and restructure damaged and dry hair. Non rinse formula to seal in hydration. Leaves hair instantly healthier and stronger. Panthenol – Gives long lasting moisture control and strengthens the hair structure. Micro Wheat Proteins – Penetrates deep into the hair cortex. Protects, repairs and re structures the hair shaft. Keravis – Hair strengthening complex. Strengthens the hair inside and out, prevents the cuticles from thermal stress. Strands are left silky-soft and shiny. Suggested Retail: $11.99 Available at Walgreens. The entire Mark Hill Defrizz-ilicious Collection offers moisture, shine and control for even the most unruly of hair. The cost is as attractive as the end result. A definite hot beauty buy for divas on a budget. The extensive salon quality product line, features shampoo to hairspray, with prices ranging from $9.99 to $11.99. Mark Hill is one of the defining influences on British hairdressing. Based in Yorkshire, Mark is still the only hairdresser outside London to have won the British Hairdresser of the Year twice, and is the only UK hairdresser to have ever won the prestigious International Hairdresser of the Year accolade twice in succession. Baby…it is cold outside. And, winter weather can mean dramatic fluctuations in temps, indoors and out, that play havoc on your skin. Fans of the Clarisonic line now have a secret weapon to add to their arsenal. – Clarisonic’s Moisturizing Cleanse Duo. The skin saver combo, with a special savings pricetag of $30. The duo combines the power of a deep hydrating and vitamin-enriched creamy cleanser with a custom brush head offering an ultra-soft, high-performance cleanse. Created for dry, aging and sensitive skin. The Clarisonic cleansing regimen focuses on 3 primary needs – exfoliation, hydration and protection. A patent mixture of sucrose and coconut derivatives works with the brush power to remove impurities. Algae and Aloe Vera are added to the formula to replenish and lock in moisture. 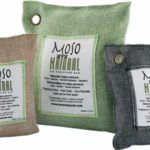 Vitamin E and Japanese Green Tea, also among the key ingredients, gently soothe and soften skin. 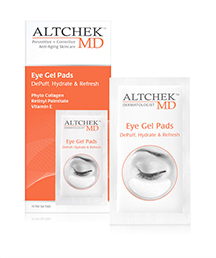 ALTCHEK™ MD‘s portable pack of 10 eye gel pad pairs will keep you bright-eyed, beautiful and looking your very best into the wee hours of the morning. Party On without the Puffiness! 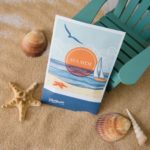 The Eye Gel Pads help reduce the appearance of fine lines while hydrating the sensitive and fragile skin under the eyes. 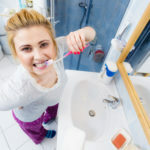 The perfect treatment before or after a night out on the town!